In the world of break-neck stock trading, news that is hours, and even in some cases minutes old, is considered ancient. 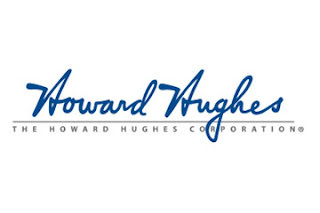 So it is with some surprise to report that comments made last week by an Elk Grove City Councilman about a Howard Hughes Corporation (HHC) property continue to generate interest. As reported here last week, Councilman Steve Detrick said under a "best case scenario" the unfinished Outlet Collection at Elk Grove could open as early as Spring 2017. Undoubtedly, shoppers and city leaders alike would welcome such a development. Even though they are almost a week old, Detrick's comments continue to generate interest in the world of stock traders. Our story linked on another site last Thursday, and it immediately started generating considerable traffic through Friday from a variety of viewers not typically drawn to EGN. Among them were a several east coast law firms, Wall Street hedge funds and of course, Howard Hughes Corporation. Given that old financial news, anything over 24-hours old is the equivalent of fish wrap, we were surprised to find a substantial amount of traffic coming to EGN starting yesterday at about 4 p.m PST. Through noon, today, the new site that linked the story generated 75-plus views. The number of hits it generated is not as significant as the quality of views. Among them were Dean Witter, Franklin Templeton Investments, and the Chicago Tribune. Also, there were visits from over 25 American states and five countries. Typically, over 90-percent of EGN visitors are Californians. It is also worth noting that the site where our story was posted requires a $525 annual subscription fee. Apparently, the investors visiting that site who viewed the story found something relevant in Detrick's HHC comments. It sounds like the Mentor is competing with Big Man in seeing who can give the impression that they are 'lighting a fire' under HHC. Whether the mall goes in or not, it won't be the kind of 'mall' that local residents envision because we are not the high-end community that we think we are. I am sure Steve “The Mentor” Detrick is basking in the publicity. . . .that is, unless he let a cat out of the bag and the usually tight-lipped Howard Hughes Corporation is not happy with the mouthy councilman. Welcome to our world HHC! Loose lips sink spruce gooses!